Seeing and Sharing the World: A New Camera? Is this the ONE LAST camera in my photographic life? I wrestle with the notion of allowing myself to even consider spending a large sum of money to get something I’ve already got: the Nikon D200 I’ve used for almost three years is a fine camera and I’ve not had any complaints from folks who have paid (not many and not much) for images from it of their families, for their walls or their web sites. But I feel like I’m missing brushes from my palette, and I want to engage the “art of light” to the fullest with the mental, physical and creative energy I have left. And I need a few more tools to fully express what my eye, my mind and my heart see in nature and in the human landscape of the southern Blue Ridge. Or so I explain thus consumptive impulse to myself. It will let me shoot in lower light (indoors without flash, at dawn and dusk, in deep forest shade) as it handles “digital noise” better than the Nikon. It has a swivel viewfinder that lets me do in my mushroom and wildflower and insect shooting and such what I can only do now with the Canon Powershot: view a bugs eye view without laying flat on the ground; or take a shot of a crowd with the camera overhead and SEE what the camera will see. The other thing–and turning in a completely different direction, adding another medium entirely–is the HD video capability of this camera. This would add the element of motion and sound to the visual–to be able to walk the viewer along with me on the trail, up on the ridge, down the streets of Floyd–and move to the next level with the multimedia creations I’m enjoying and which audiences seem to appreciate. I would purchase a Tamron lens whose strong suits are long focal range (18-270mm so I can use one lens and not put my bad thumb joints through the pain of changing lenses) AND MACRO capabilities on a camera body that will make massive images (18 megapixels) from which smaller crops can be made and still enlarge well. I have a modest sum of earned income in my Goose Creek Press biz account that is drawing no interest (and would not if “invested” most places these days.) And for me, at this time in my life, doesn’t the pleasure of creating — or at least capturing and sharing– beauty have a higher value than imaginary returns I will not likely live to see? I’m a reluctant consumer in general–a bad citizen in that regard, by some reckoning. I would like to enjoy the journey, though I am generally NOT a happy shopper. But this purchase, if I make it, will not reward me in the American-way pleasure of the consumption for its own sake but in the images that find their way to the canvas of memory. I think I have something of a gift in the way I see the world, and want to do that as fully as my tools will allow. So there you have it: my rationalization for a totally unnecessary purchase towards an end with questionable survival value. But rue the day that all our energies are for mere animal survival. Art must live on, and I’d like to play some small part in that legacy. But swimming against the currents of extreme frugality and fixed incomes on the near horizon, will I muster the persistence and impracticality to pull this off? Yes, definitely a difference between buying this and buying something else…I’d say go for it and then go out and give your self expression that extra brush! Just one question: why the switch from Nikon? Nikon has comparable camera, no? So what lens do you have now that you won’t be using…I might be interested in buying it 🙂 Or will you be keeping your entire setup as a backup? Not a bad idea. I sometimes wish I had done that…instead I sold my old camera to KEH to help defray the cost. Art must live on! That’s a great reason for a new camera. I will incorporate much of your rationale for my next purchase. Depite your superb rationalizations, this proposed purchase will likely NOT be your last camera. You seem to have an appreciation for cyber gadgets, and our trusty film cameras (many of which still sit on my shelves and provide Kodak memories) have been replaced by these sunning new wizards. A new camera purchase is actually just a shift in how we spend our photography dollars: remember how expensive film and print and slide processing was? Sony has been providing my cameras after they acquired Minolta, and they are bringing out some exciting new versions of “light-catchers”. Fred, we NEED these new cameras to help the other people see the wonders all around! June, I’ve been comparing Nikon vs Canon for a few years now (while owning Nikon since 2000 in my digital persona.) 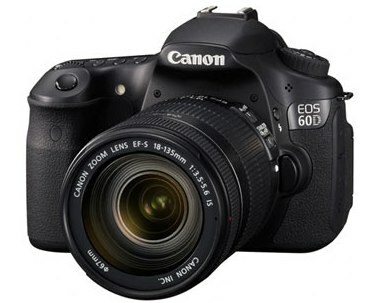 Canon seems to have moved ahead in 1)low noise at high ISO and 2) video capabilities in a DSLR. The D300s would be the next-gen in Nikon, and I just don’t think it compares to this new Canon. And I REALLY use the swivel viewfinder a lot, having gotten used to it with the Coolpix 950 in 2000. I will have the Nikon f2.8 80-200 lens for sale–this is really good glass. I’ll probably sell the D70 and 18-70 kit lens also and keep the D200 and 18-200VR lens. Also have a Nikon 2x telextender I’d sell. Let me know if you are interested or know someone who might be: this will ease my consumer’s guilt. John, thanks for understanding the creative urges that cry out for the tools to make them possible. I’m agonizing over making this purchase while working on a piece on The New Frugality and the revolt against hyperconsumerism. Oy. The agony of living with internal conflict. This PowerShot SX130IS, it’s a premium performance with family-friendly value. You should have this excellent camera. “I think I have something of a gift in the way I see the world.” I am so glad to see you write this, because truer words were never written. You have to keep buying a new digital camera every 2-3 years, because the tools keep getting more and more incredible. My nature photographer husband, much more an amateur than you, has been upgrading at that pace. Your review of the Canon has gotten him all revved up right now, and we are sending you a link about its introduction on Labor Day weekend. Happy shooting!!! Next Next post: Busy, Beautiful Day in Floyd This Saturday!